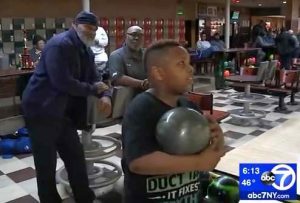 Only 10 Years Old, Kai Strothers makes HISTORY in NEW JERSEY..
Kai, a 5th grade student, a member of the Metropolitan Bowling Senate of New Jersey and a member of the Jersey Lanes Junior Bowling League located in Linden, New Jersey bowled a PERFECT 300 GAME to become the YOUNGEST Bowler in the State of New Jersey to accomplish this great feat. He is also the 2nd youngest in the Country to do so. He had games of 226 – 245 and 300 for a total series of 771.
he was snacking on popcorn, and it was said the secret was in the popcorn. Now whenever he bowls, it’s always asked does he have his popcorn?? Metropolitan Bowling Senate is extremely excited and glad to know that we are part of “The Village” behind him. Kai’s achievement will be acknowledged by the South Orange-Maplewood Board of Education at its February meeting. Addendum: After this original article was submitted, Kai Strothers was highlighted as a guest on the Jimmy Kimmel Show (01/30/19). “While watching the Jimmel Kimmel Live Show, I noticed that Kai Strothers was to be interviewed. I decided to tape it for our TNBA Bowlers.” R. McDaniel. See more about this outstanding achievement during his interviews with News12, ABC and CBS News. Las Vegas: The 2019 United Bowling Congress Team USA Trials. We have several TNBA Juniors bowling this year’s Team USA Trials. We are very proud of our Juniors and our outstanding Junior Programs. We have been watching our young bowlers grow from tiny tots using two hands to bowl, to who are now in college or has graduated from college becoming outstanding young men and women. They are now throwing bowling balls up to eighteen miles per hour with very high rev rates. 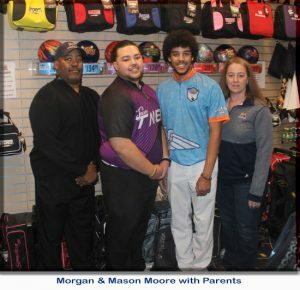 Morgan and Mason Moore are brothers who started bowling at the age of 3. Morgan and Mason are students at Midland University in Fremont Nebraska. Following their Dad’s footsteps, they are majoring in Criminal Justice. Mark Morgan has worked for 31 years in the Criminal Justice System. I could write a book on their Accomplishments Morgan and Mason book averages are 235 and 232 respectively. They are both certified I.B.P.S.IA. hands on Pro. Shop trained professional. Their coach is former Hammer Staff member and our own Denver Senate member Shawn Lee. 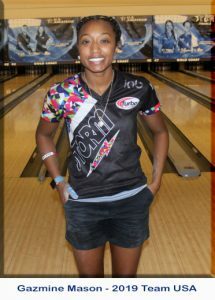 Gazmine Mason nick name “GG” is also bowling 2019 Team USA. We have been following this youth bowler for several years. Gazmine has graduated from the University of Nebraska. She has a degrees in Business with a minor in Computer Science. Her parents are George and Danielle Mason. Gazmine. GG started her own company, named after her nickname, Got Game, LLC. In 2017 Gazmine started the group Black Girls Can Bowl 2, #BGCB2. These are just a few of the things she has done since graduation. She has competed in Team USA Trials since 2014, received two National Gold Medals including Singles and All Event. She the only African American to win multiple gold medals .Her goal is to become to bowling what Michael Jordan is to Basketball, Tiger Wood is to Golf and Serena Williams is to tennis. TNBA’s 2018 King and Queen visits our Regional Tournaments across the USA! TNBA’s 2018 King and Queen visits our Southern Regional Tournament in San Antonio, TX. Eastern Regional Tournament in Rochester, NY. TNBA’s 2018 King and Queen visits our Eastern Regional Tournament in Rochester, NY. Enjoying the activities the host city planned for their visit and hanging out and fellowshipping with their “subjects” kept them busy throughout the weekend. The next stop for the King & Queen will be the Southern Regional Tournament in San Antonio Texas. King Duane and Queen Nikki kicked off thier November tour of TNBA’s regional tournaments by visiting the Western Regional Tournament in Las Vegas Nevada. In between sight seeing with King Rob, Queen Jan and King & Queen Director Shirley Sanders and hanging out with Queen Freda and Queen Gwen Amie, the King & Queen had a very busy, fun filled weekend. The next stop for the King & Queen will be the Eastern Regional Tournament in Rochester New York. This year’s Kings & Queens United’s annual retreat was held in the Inland Empire (Moreno Valley, CA) and hosted by Queen Emma Lawson (2005 Queen from San Diego) with assistance from King Ron Hatcher (2000 King, Los Angeles) and King William “Will I Am” Vivian (2013 King from Los Angeles). The busy weekend included trips to Warner Bros Studios and Universal Studios CityWalk in Burbank, CA, a trip up to Griffith Observatory (by the Hollywood sign), a trip to Lake Arrowhead in the San Bernardino Mountains, dining experiences at Bubba Gumps and Flamingo Palms Cuban Café, and afternoon lunch get togethers at King Rob and Queen Jan’s home and at Shirley and King George’s home. A great time was had by all as shown in the videos below. Friday Warner Bros Studio Tour; 1st stop on our 3-stop adventure. “Special thanks to Queen Emma Lawson for planning a great retreat. I had the opportunity to go places I had never been and most all spend some fun times with Royalty. ” Queen Gwen Amie. Bobby Ray Richardson, Sr. was Mr. 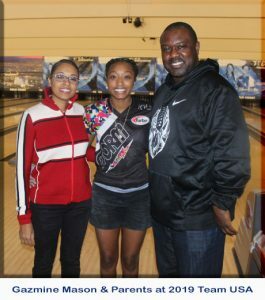 Ambassador for The National Bowling Association on the Local, Regional and National level. His love for TNBA was only surpassed by his unique fundraising abilities. He had a passion for youth bowlers and was the Fundraising Chair Person for Western Regional Senates Committee. His fund-raising effort allows the committee to award scholarships to our TNBA Junior Bowlers. Bobby’s dedication, perseverance, persistence, and hard work for TNBA, earned him many accolades and prestige awards. In 1995 was the winner of the Joe Blue achievement award and later was given a life membership in the National Bowling Association. 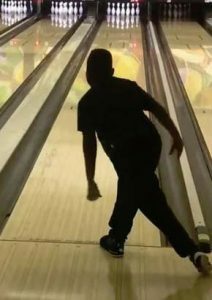 Bobby was enshrined into the National Bowling Association Hall of Fame in 2010 and made his last walk on May 29, 2018. His passion and heart was for the Junior Bowlers. In 1993 he co-founded of the Battle of the Sexes Scholarship Tournament which have raise over $350,000 in scholarship funds. Bobby, we love you and you will truly be missed. No one will be able to fill those gigantic shoes on the Local, Regional and National levels of TNBA. On Thursday, August 2, 2018, Bobby earned his golden wings. He had requested that in lieu sending flowers to please make a donation to TNBA’s Junior Program & Scholarship Program. TNBA has set up a Go Fund Me account for those who wish to make a donation. 100% of all donations will go to JP&SP. 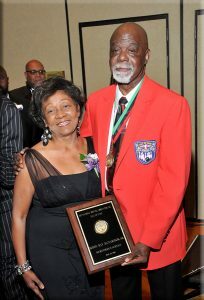 Luther Moses was the recipient of the ‘2015 Hall of Fame’ award, during the TNBA ‘76th Annual Convention’ and TNBA Week festivities in Las Vegas, Nevada. The TNBA festivities also included the ‘74th Championship Tournament, held May 21 – 31, 2015; of which Luther serves as the National Director of Tournaments; a role he has held for the past seven years. A capacity-filled banquet hall, which included members of Luther’s family, and past and present National Tournament Staff, witnessed him receiving the award for Meritorious Service; an award given that he so richly deserved. Luther, who is also a TNBA Life Member, was honored for Meritorious Service; based on a 43 year history with TNBA, serving in multiple roles for the organization. 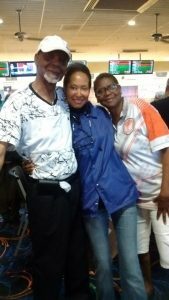 His passion for bowling led him to join TNBA in 1972; after returning to California following an honorable discharge from the United States Air Force; where wanted to become more involved with the organization, not just as a bowler. In 1978, a United States Postal Service promotion led Luther to relocate to Denver, Colorado where he actively became involved with the Denver Bowling Senate; serving as its President for twelve years. As a result of his professionalism, service and dedication to TNBA and over the span of 25 years; Luther has served as TNBA Budget Director (2 years), Assistant Western Region Tournament Director (3 years), appointed as acting, then Western Region Tournament Director (18 years); Western Region Rhodman Tournament Director (3 years); then ultimately appointed as TNBA National Director of Tournaments. Other TNBA accolades include: Board Member of JP & SP (1989), where he served as Vice-Chairman and formed the now Century Club; donating the first $100.00 out of his own pocket; a philanthropic gesture he has continuously donated since 1989, to date. Luther has served as Chairman of TNBA Finance Committee; Chaplin; Parliamentarian, headquarters relocation committee; Cabinet Advisory Committees, Site Regional Inspection Committee and a Southern Regional Tournament staff member. Luther’s bowling accomplishments include two ‘300’ game awards, ‘299’ game award (twice) and a career high series of 776. He is also proud of a current book average of ‘206’. 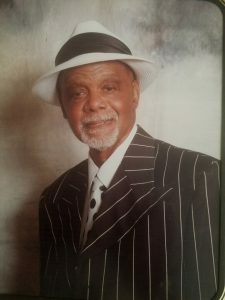 Personal accomplishments include his wife and one daughter; a life member of Kappa Alpha Psi Fraternity; member of California State University Alumni Association; a faithful member of Kings Baptist Church; Blacks in Government (BIG); Denver Strikers-Strikettes Bowling Club; National Association of Parliamentarians (NAP) and National Association of Postmasters of the United States (NAPUS). Three years ago, Luther retired from the U.S. Postal Service after 42 years. The National Bowling Association, Inc., joins the Western Region Senate’s Committee in recognizing Luther Moses as the 2015 Hall of Fame Inductee, for Meritorious Service. He has taken his rightful place alongside his fellow recipients and colleagues. Hammer has been a corporate sponsor to TNBA for over 5 years. Over the years, they have become a true, dedicated member of the TNBA family. This year they have added a new sponsorship element to this relationship. Bugsy Kelly of Ebonite International/Hammer has developed a new program that rewards TNBA members (one from each of the four regions) with a one year “Hammer Amateur Staff Contract.” These four members will be provided with hammer equipment and invited to hammer events. They will promote the Hammer and TNBA brands. Congratulations go out to Ron Holt (Eastern), Charles Zelaya (Western), Cieara Watts (Southern) and Michele Irwin (Central). Names of deserving candidates from across the country were submitted to Team Hammer by TNBA leaders for consideration. 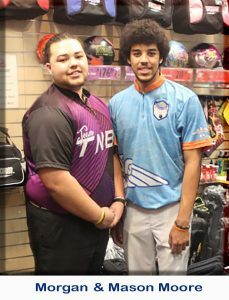 From that list, these bowlers were chosen by Hammer based on their support and dedication to TNBA, image amongst their peers and bowling ability. Today it is common for companies to hire celebrities and well known sports figures to endorse their products. All companies in the bowling industry have professional bowlers on staff to help promote their company’s products, especially bowling balls. Hammer utilizes a combination of professionals and amateurs on their staff. They have discovered that high averaged amateurs that compete in many tournaments are very effective in showing the public the quality and efficiency of their products. Please join TNBA in congratulating Ron, Charles, Cieara and Michele. They join fellow TNBA members Novella Daniel and Ron Simms Jr. on the Hammer staff. We thank Hammer for offering this opportunity. Send in your yearbook ads and high scores for the 2016 issue of “TNBA’s 2015 Yearbook Journal” to Rob McDaniel. Ads and high scores should be submitted by February 15, 2016. Submit high scores for both adult and junior bowlers. Ad and high score forms may be found on the Yearbook page.